The Woodland Wildlife Toolkit allows you to search for important wildlife that is likely to be in or near your woodland based on available survey and distribution data. It also provides you with practical advice on the habitats these species require and how you to manage your woodland to provide these habitats. This information is crucial to developing a management plan that will create healthy habitats in your woodland. 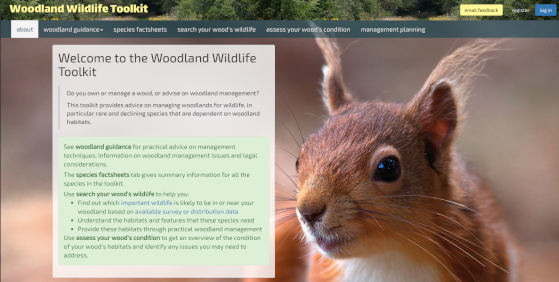 myForest users can use their existing login details when using the Woodland Wildlife Toolkit.